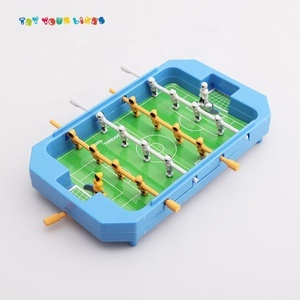 Promotional Plastic Finger Football Game Mini Football Soccer Goal Game Item NO. Packaging & Shipping For packing: if customer has no special request, we deliver our standard packing. For delivery: for small orders, we are able to deliver in one week. 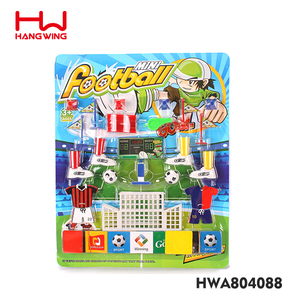 : HS123308 Description: Finger Footabll Game Pack: B/C Product Size: 21.00&times;25.00&times;2.00 CM Carton Size: 77.00&times;40.50&times;76.00 CM Qty/Ctn: 336.00/PCS Measurement: 0.237 CBM G.W/N.W. Through our continuous efforts, relying on high quality products and professional services, we built up long-term friendly relationship with our clients from all over the world. Sincerely hope to have the opportunity to cooperate with you also. 2. Smooth Communication : Well-trained and experienced staffs to answer all your inquires. 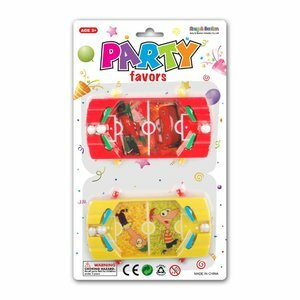 Especially remote control toys, battery operated toys and all kind of plastic toys. The integral management system, to produce, to pack, to stock and to load, makes sure to provide the shortest delivery. 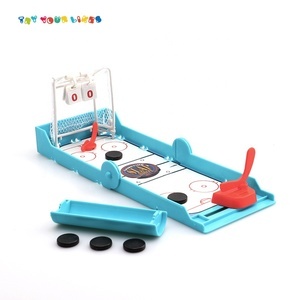 Electronic shooting toy finger football game for kids Item No. 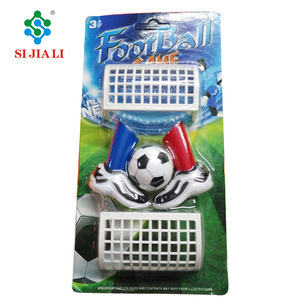 : 21.3/18.3 kgs CBM: 0.24 Product Features: 1.This hand football game are colorful with smooth edges. Selling Point: 1.Funny and interesting for kid,it can be a good gift for kids. Manufacturing,assembling & packing service 10 years professional manufacturing,assembling & packing experience. Shipping Service Booking container,and arranging the shipment Making shipping documents Customer Service We are online for each working day We will reply your e-mail and inquiry within 24 hours Packaging & Shipping 1.We provide Diecut for all the common package : Such like blind gift box,box with window,clear plastic box etc. 2.The most convinient packing way will be prvoided if you are not sure about which one you'd prefer. We don't have any item in stock ,beacuse style was made according to the customer design drawings. We can design and produce as customers's idea and specifical requirements. If not, give us detailed product specifications and requirements. 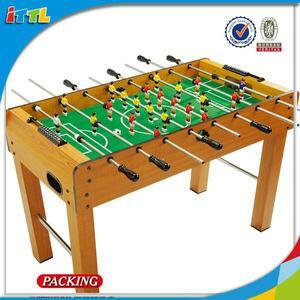 Alibaba.com offers 337 finger soccer game products. About 55% of these are other toys & hobbies, 8% are soccer tables, and 1% are board game. 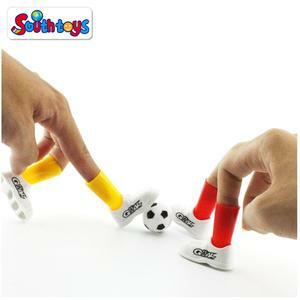 A wide variety of finger soccer game options are available to you, such as free samples, paid samples. 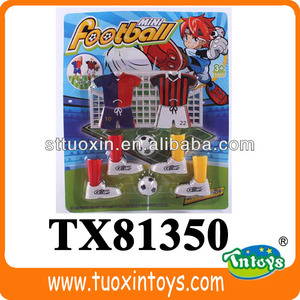 There are 338 finger soccer game suppliers, mainly located in Asia. The top supplying countries are China (Mainland), Pakistan, and Hong Kong, which supply 94%, 3%, and 1% of finger soccer game respectively. 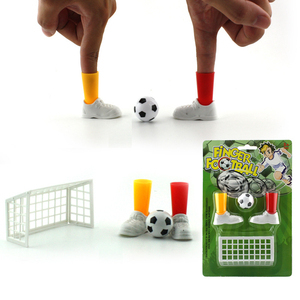 Finger soccer game products are most popular in North America, Western Europe, and South America. You can ensure product safety by selecting from certified suppliers, including 30 with Other, 28 with ISO9001, and 9 with FSC certification.